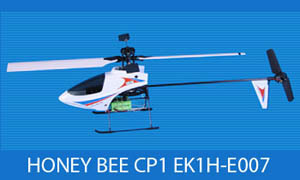 If you need parts for your Honeybee CP1 please e mail or call . Length MAIN ROTOR - 21"
Satisfaction guarantee / If you are not completely satisfied, just return the unused helicopter within 7 days. We do not refund used helicopters . We do charge a 25 dollar return fee to cover our shipping and ebay costs. 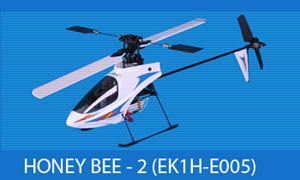 These are New in the box / We love these helicopters . Please - Get proper supervision before flying . These are not toys - They are very dangerous. . Your item will be shipped within 2 working days after you payment. We do carry most of the parts for the Honey bee 2 . Please e mail if you need any extra parts .